Increasingly frustrated with delays in access to medical marijuana, patient advocates and dispensary owners pressed state regulators to have product available in Louisiana by May 15. Doug Boudreaux, the licensed co-owner of Hope Pharmacy, a dispensary serving Northwest Louisiana, said he has 180 hospice patients waiting to be able to buy medical marijuana. His dispensary is located across the street from a cancer center, he said Monday (March 25). “We are under terrible pressure to help our patients,” Boudreaux said. Slowly, Louisiana's medical marijuana program is gaining some traction toward getting products to patients. LSU AgCenter harvested its first crop of marijuana in October. And after more than a year of delays, Southern University's medical marijuana program is now under a new operator that says it will start the build out of a new facility starting early next year and could have crop available by the second quarter of 2019. This is a look at where Louisiana's program stands now and what to expect going into 2019. More Louisiana residents should have easier access to medical marijuana after state regulators got rid of the rule on Monday that limited the number of patients to which physicians can recommend cannabis. The Louisiana Board of Medical Examiners (LSBME) met Monday to discuss changing rules that currently restrict patient access to medical cannabis, including the cap previously in place that restricted physicians from recommending marijuana to more than 100 of their patients. Dr. Victor Chou, one of the first physicians to receive a license to recommend cannabis in Louisiana told the board that he reached that limit in only two weeks after opening his clinic in Baton Rouge. “I have a waiting list of 700 patients,” Chou said. Louisiana's first medical marijuana crop will take longer than expected to reach patients. As Louisiana's medical marijuana program takes shape some patients might have to make a difficult choice: keep their gun ownership rights or participate in the program. Louisiana is one of 30 states that have approved medical marijuana laws in some form. Although the state's nine dispensaries won't open until later this year, patients who qualify for medical marijuana under Louisiana law may be surprised to learn that federal law restricts their ability to purchase a gun if they use marijuana. Can Louisiana's fledgling medical marijuana industry keep up with expanded demand? 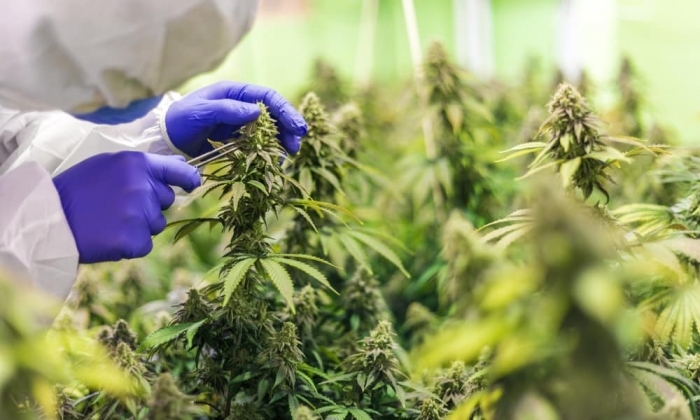 A recent expansion of treatable conditions in Louisiana's fledgling medical marijuana program could grow the industry by millions of dollars and move the state’s once-narrow program closer to a full-blown medical marijuana industry seen in other states. But those close to the industry also worry that some of the rules on the program will place bottlenecks on production, and wonder whether the state’s two growers — only one of which is close to getting product on the shelves — will be able to meet the heightened demand.